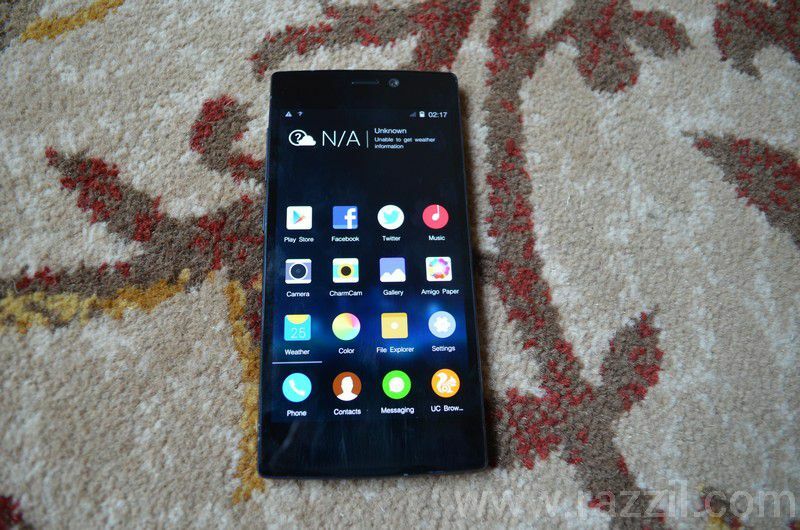 Update: Gionee Elife S5.5 goes on sale, Buy now from Gionee Estore. 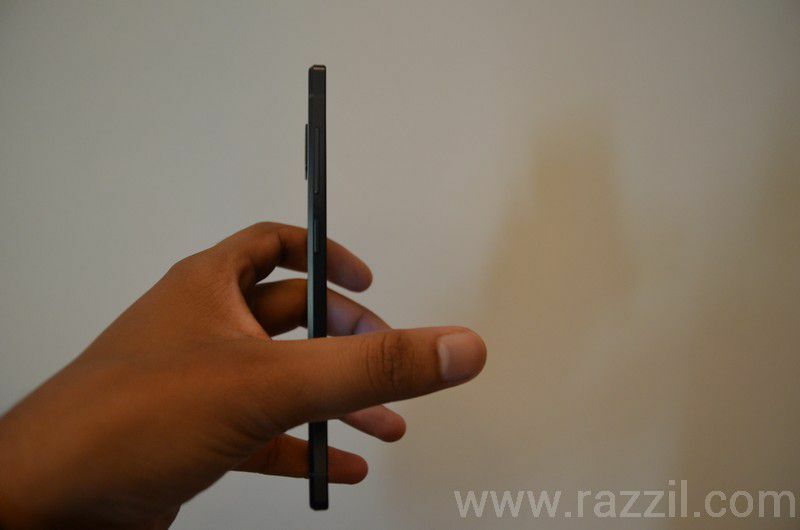 Gionee launched the World’s Slimmest Smartphone Elife S5.5 in India for ₹ 22,999. The phone launch was announced at a grand event in Grand Hyatt, Goa. 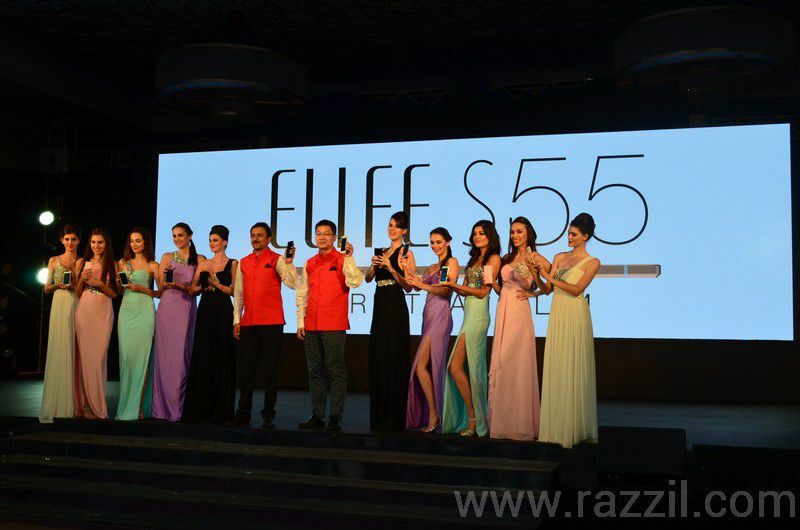 The Elife S series is a new product category from Gionee where they target phone can be used as a fashion accessory. The S series phone will be more powerful, slim and also good in design. The Gionee Elife S5.5 is equipped with 5-inch Full HD Super AMOLED plus screen, a true Octa-core 1.7GHz processor, 2GB of RAM, a 13 MP rear camera and 96 degree ultra-wide angle 5 MP front camera. With the 95 degree wide angle front camera, customers can take full body selfies and group shots without any hassle. The phone is powered by Android 4.2.2 with Customized Amigo OS and 2300 mAh Non-removable battery. My view is based on the phone I’ve used at the launch event. The Final experience may be different! No doubt Gionee doing incredibly well in Indian Market, In last one year, they sold more than 1 Million Smartphones in India and their last phone Elife E7 are doing really good. People are buying E7 for its good camera and battery life. Elife S5.5 is different from E series as E series is dedicated to the camera and S series will target slim and powerful phone. Gionee Elife S5.5 is crafted with a distinct metallic frame and Corning Gorillas Glass Uni-Body and is very thin if you compare with other Smartphones. The device has world’s thinnest AMOLED screen, thinnest PCB board with a 0.6mm and 0.4mm glass rear cover. 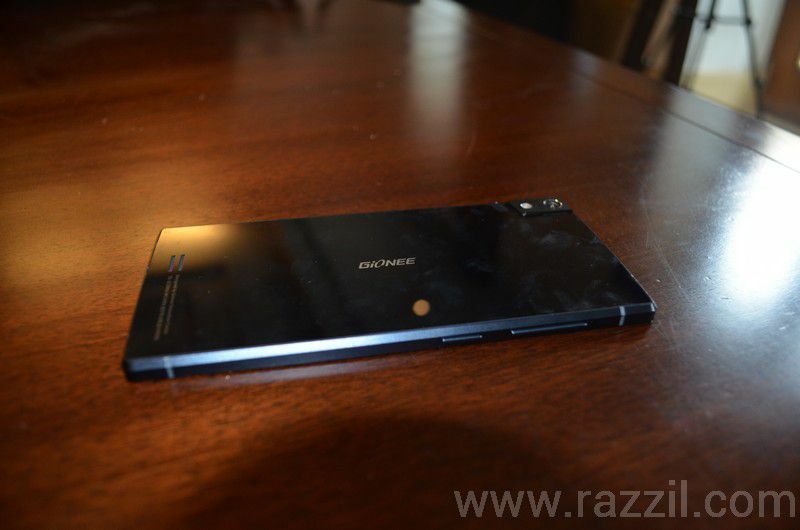 For that engineering, i really want to Salute Gionee team for making such a thin device without compromising other areas. But the device has enough power to storm the Indian Market? Well, time will give answers, but my real concern with thin device is heating issue. The Elife S5.5 is powered by 1.7GHz true Octa-core Mediatek processor, more cores will generate more heat. 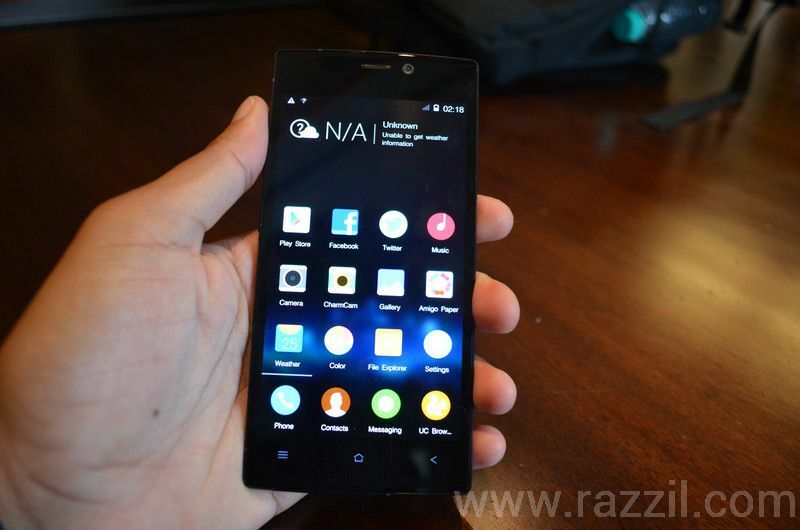 The Gionee Elife S5.5 uses same Amigo UI that powering the Elife E7. They downgraded camera to 13 MP and front camera to 5MP. But one interesting thing in front camera that will appreciate by many users is 95 degree wide angle. The Camera UI has both simple and advanced settings. I don’t like How Gionee plays with Home screen, you can’t add widgets and there is no app drawer. The only thing you’ll find is icons on home screen. I recommend to install the launcher like Nova or Google Now Launcher. The Phone is available in Black, White, Blue, Pink and Purple. 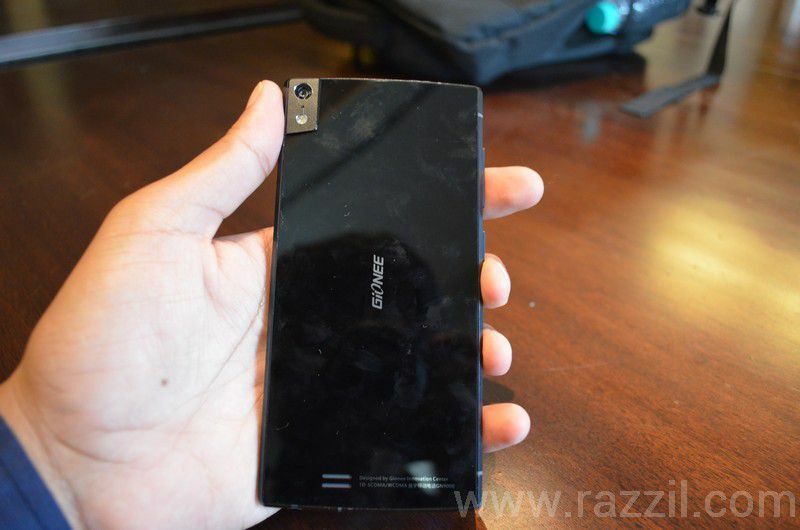 The phone will hit the Indian Market by Mid-April 2014.